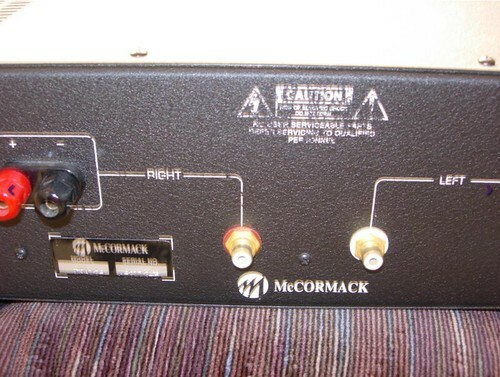 McCormack DNA-125 stereo power amplifier. 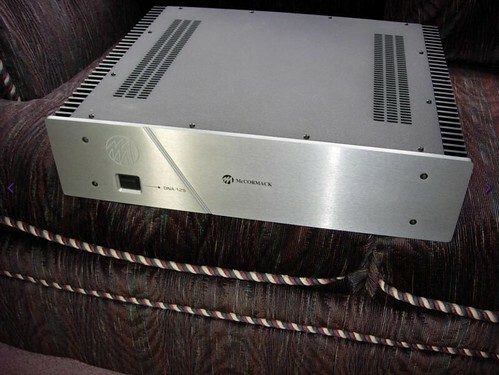 This amp has been modded by Bob Backert of RHB Sound Dezign with upgraded signal path caps (Black Gate) and power supply. Cost of the mod was $500.00 alone. This is, bar none, the best sounding amp I have ever owned. The amp looks good except for a few blemishes here and there. Nothing big or really noticeable but I'm being overly cautious in my description just in case you see something I miss. Rear lettering has aged in a few places. The amp performs and sounds amazing. Original box & packing materials included. Local pick up is welcome and encouraged. I will ship at buyer's expense. Price is $1000 to Polk Forum members in good standing with at least 100 posts. Price is $1200 to anyone else. That is one sweet amp! Almost 150 looks and no takers ? C'mon guys, for the price it doesn't get much better for an amp of this quality. You're one of lookers big boy, batter up! Got a Mccormack singing away while reading this. If I was in a different situation, I'd be all over this. That and...if I had your money, I'd burn mine. If you had my money it wouldn't be much, so don't start that bonfire just yet. How would this compare to a DNA .5? 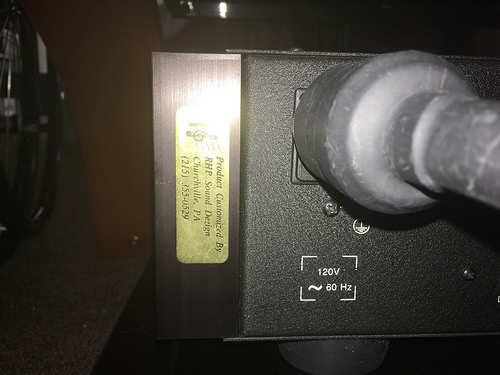 Output Power: 100 watts per channel into 8 ohms, and 200 watts per channel into 4 ohms, both channels driven from 20 Hz to 20 kHz at less than 1% THD. 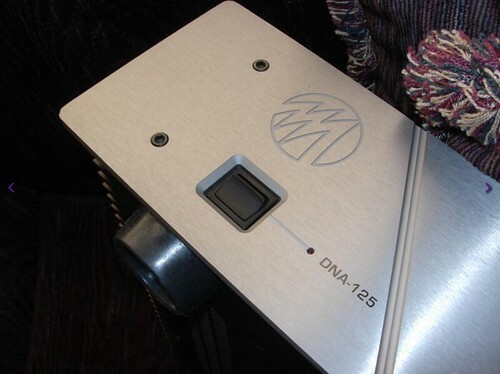 DNA-125 is newer and this is modded by Bob Backert. Power: 125 watts per channel at less than 1.0% THD or IMD, both channels driven into 8 ohms from 20 Hz to 20 kHz. 200 watts per channel into 4 ohms. I’d like to see it stay in the family here on the forum.